Obituary for Margaret M. Dennehy | Shore Point Funeral Home and Cremation Services, Inc.
Margaret M. Dennehy, 77, fondly known as “Peggy”, of Hazlet, New Jersey, passed away surrounded by her loving family on October 21, 2018 at Bayshore Hospital in Holmdel, New Jersey. Margaret was born on May 8, 1941 in County Kerry, Ireland. She spent the earlier part of her life in Ireland before relocating to the United States in 1959, moving to the Bronx, New York. Shortly after in 1960, she moved to Jersey City, New Jersey, where she remained until settling in Hazlet, New Jersey in 2008. For many years, Margaret worked as a secretary for St. Peter’s College in Jersey City, New Jersey before retirement. She was predeceased by her parents, Peter and Ellen (Hartnett) Healy, her beloved husband, Daniel Dennehy and her dear daughter, Eileen Dennehy. Margaret is survived by her loving son, Daniel Dennehy and his wife Sharles of Hazlet, New Jersey, her dear siblings, James Healy and his wife, Bernie, Brendan Healy and his wife, Margaret, John Healy and his wife, Mary, Peter Healy and his wife, Mary, and her cherished grandchildren, Aidan, Logan and Ilene. Margaret will be deeply missed, but never forgotten. Family and friends are invited to visit on Wednesday, October 24, 2018 from 5:00 PM to 9:00 PM and Thursday morning, October 25, 2018 from 10:15 AM to 11:00 AM at the Shore Point Funeral Home and Cremation Services, Inc., 3269 State Highway/Route 35 North, Hazlet, New Jersey 07730. A Mass of Christian Burial will be offered on Thursday morning, October 25, 2018 at 11:30 AM at Holy Family R.C. Church, 727 Highway 36, Union Beach, New Jersey 07735. Interment will follow at St. Joseph’s Cemetery, 360 Broadway, Keyport, New Jersey 07735. In lieu of flowers, the family requests donations be made to “Hope and Hero’s Children’s Cancer Fund” in loving memory of Margaret, care of her predeceased nephew “Anthony Gerard Tuzzo”, at https://hopeandheroes.org. 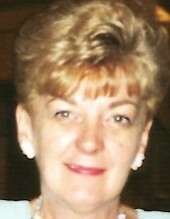 For information, directions, or to send condolences to the family, please visit, www.shorepointfh.com.